Terry Larrier signed with the Memphis Grizzlies’ summer league team, according to ESPN’s Ian Begley, where he hopes to make a good impression and earn an invite to training camp. UConn guard Terry Larrier has committed to playing with the Memphis Grizzlies in Summer League, per ESPN sources. 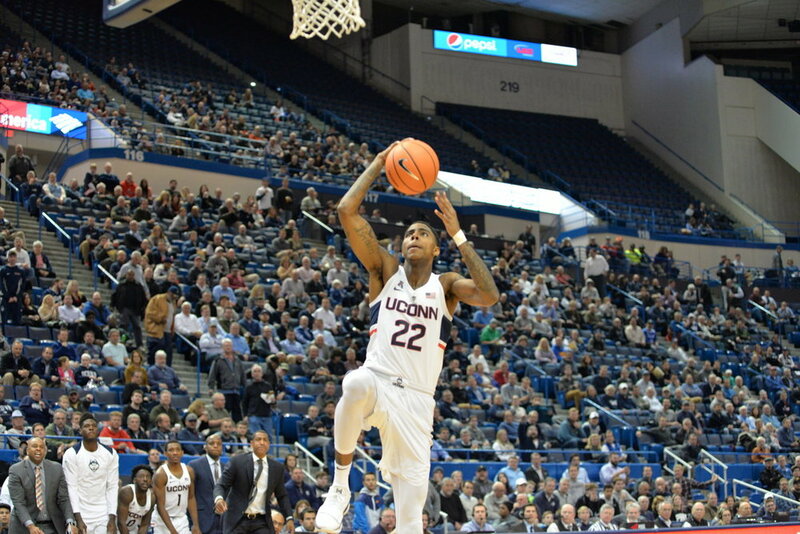 Larrier, who decided to graduate from UConn this past year despite one year of eligibility remaining, shot .398 from the field with 13.9 points, 4.8 rebounds and 0.9 assists per game. He averaged 34 minutes a game for the Huskies, behind only star guard Jalen Adams. He also had 2.4 turnovers a game, the highest amount he had in his three-year college career. The Grizzlies’ first summer league game takes place against the Detroit Pistons on Saturday, July 7th at 2 PM Pacific Time (5 PM EST). It will be played in Cox Pavilion at the University of Nevada Las Vegas and will air on NBA TV.